soba noodles . . .
Next, I went to Pinterest and typed in “soba noodle recipes” in the “Search” box. Scrolling through numerous tempting combinations, I soon recognized that I had too many ingredients to make one dish. 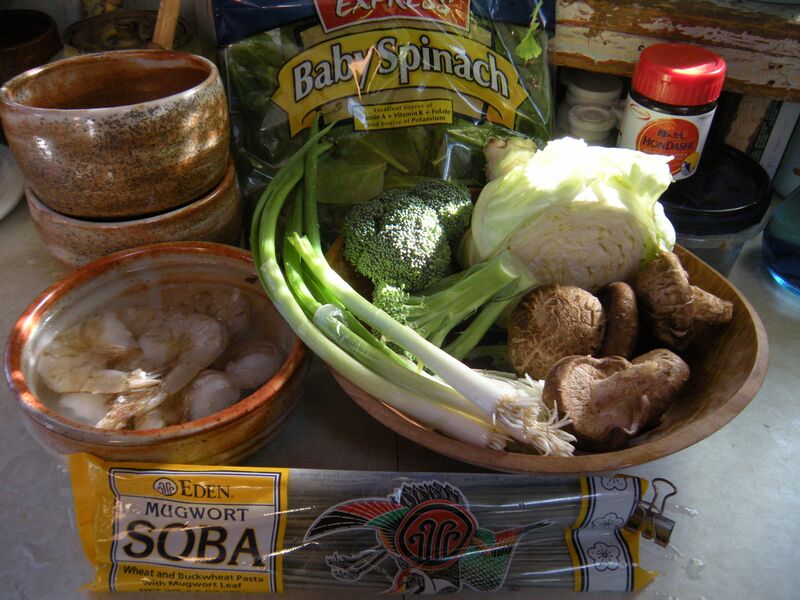 I could make the shrimp into crispy tempura and serve on the side of a simpler soba noodle dish; or I could cook the noodles and then add lightly cooked shitake mushrooms, broccoli and scallions–or have a cleaner tasting, simpler shaved raw cucumber and raw shitake mushrooms atop soba noodles dressed in a light sauce. I was happy to see that the teriyaki sauce that I made a couple of weeks ago which I still have a little bit left of, would be a tasty condiment to add to dashi broth. I also remembered a NYTimes clinical article months ago about a rare allergic (appeared neurological!) reaction to undercooked shitake mushrooms. So, here’s what I think I’m going to make: leave the shrimp in their shells, dry them and saute them briefly with garlic, ginger and scallions with a little teriyaki sauce added just at the end. 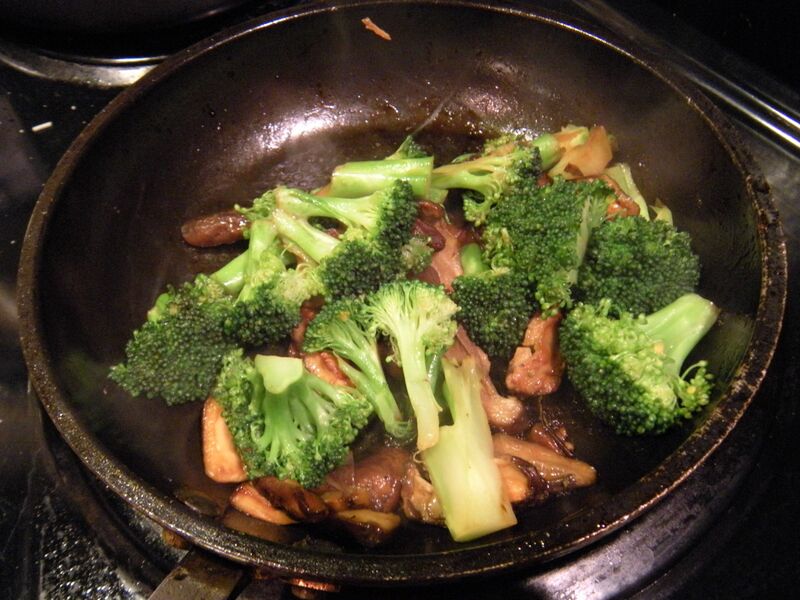 In a separate pan, saute sliced shitake mushrooms with broccoli and shallot, chopped thin. Make a dashi broth and add a little teriyaki seasoning. Cook the soba noodles in boiling water and drain well. 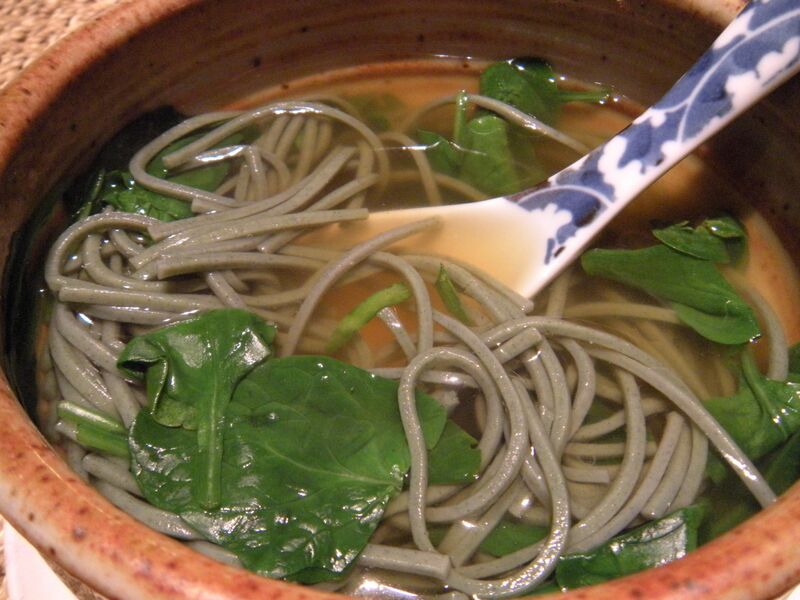 Slip the soba noodles into individual large soup bowls filled with the dashi broth and fresh baby spinach. 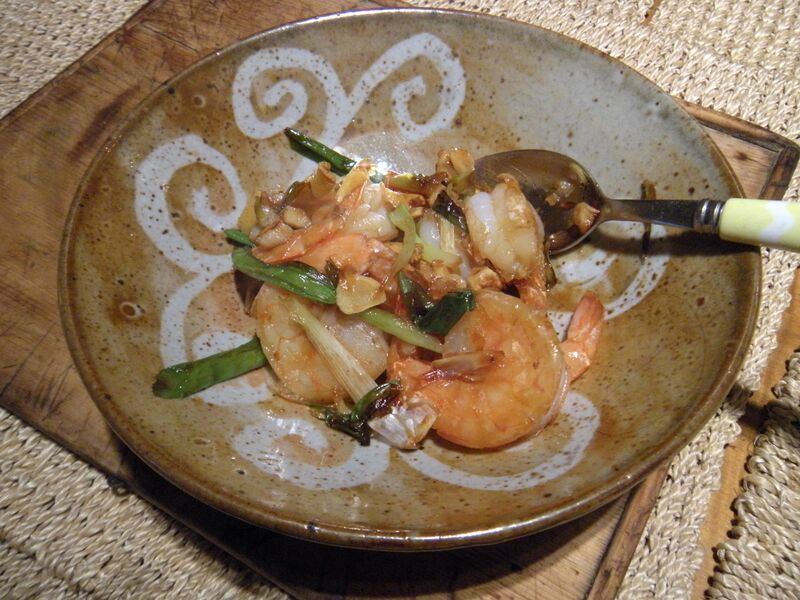 Serve the shrimps on the side to be eaten in their savory sauce. All this just to keep from going outside and going to the store! I’ll bet there are a few more variations that we could try in a few days: a broth with cooked spinach and cabbage, and so on. Oh, and while the afternoon sun was still shining in through the skylights, I decided to use a half bag of Macoun apples from the pantry to make an open faced apple pie for dessert. YUM! 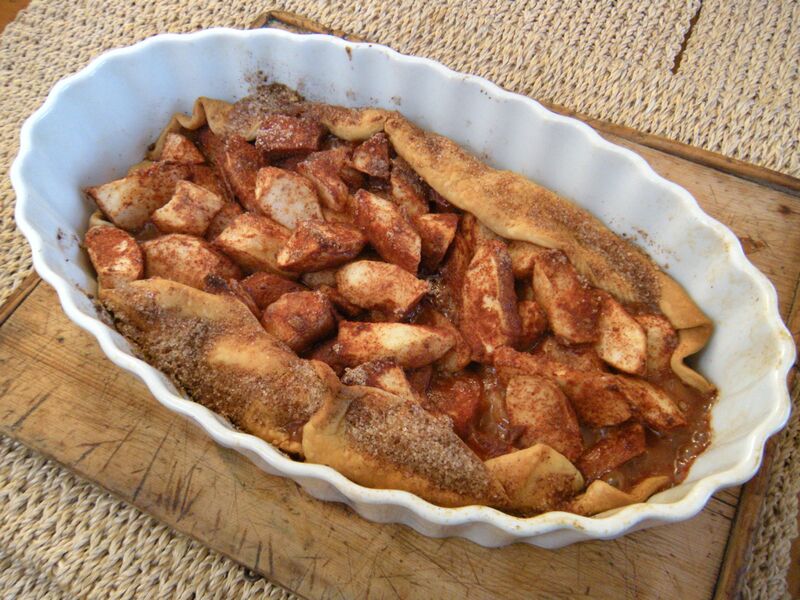 this all looks delicious, and so cozy… especially the apple tart!